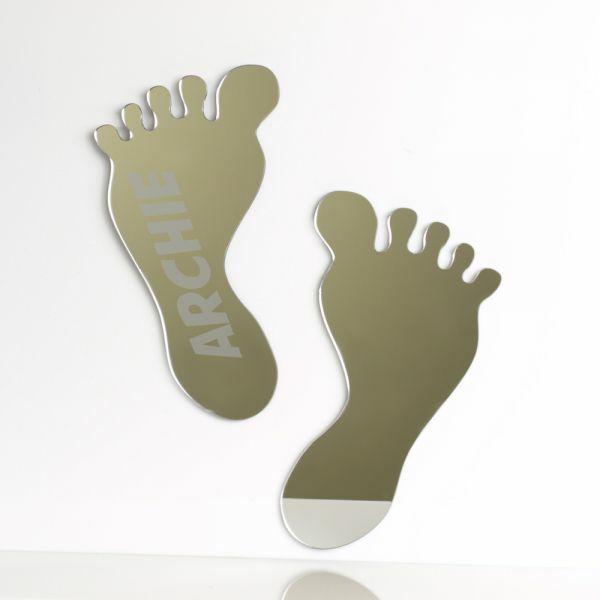 Pitter patter of tiny feet - these mirrors are perfect for nurseries and children's rooms. Engraved with a name and date of birth they make a lovely gift for a newborn baby . Available in a range of sizes and packs. One pair from the pack of 3 will be personalised.